I thought that, for a change of pace, I would take a Mediterranean perspective. The Mediterranean Diet is widely considered as an ideal diet since it is not explicitly low-fat (most of the time) while still allowing people to avoid saying low-carbohydrate which is not fashionable in many circles. At the end of this post, however, I have included a couple of recipes from Judy Barnes Baker’s new cookbook, Nourished; a Cookbook for Health, Weight Loss, and Metabolic Balance. For general health, Mediterranean diets have the advantage that nobody is really sure what they are and hence there are no long term trials of the type that makes low-fat diets look so bad, as in the Women’s Health Initiative. Start with Giochino Rossini. 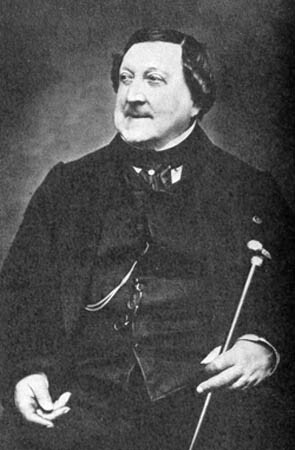 It is generally known that his life as a composer included significant time for food. He retired in his forties and devoted the rest of his life to cooking and eating. (William Tell was his last opera). Rossini said that he had only cried twice as an adult. The first time was when he heard Paganini play the violin and the second, when a truffled turkey fell in the water at a boating party. Because his later life was more or less in seclusion, there is some confusion about his gastronomic experiences. 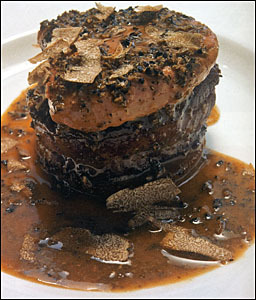 It is not even clear whether Tournedos Rossini was made for him or by him. In fact it is not even clear where the name Tournedos comes from. Derived from tourner en dos, turning to the back, it may refer to the method of cooking or possibly that somebody had to turn their back during the preparation so as not to let anyone see the secret of the final sauce. The recipe, although simple in outline, has expensive ingredients and the final sauce will determine the quality of the chef. It simply involves frying a steak and then putting a slab of pate de foie gras with truffles on top. The sauce is based on a beef reduction. More at Global Gourmet. Sauté the 4 center-cut filets mignons, chain muscle removed, 6 ounces in the 2 tablespoons (30 milliliters) clarified butter or vegetable oil on both sides until rare. Remove excess fat with with paper towel and place on heated plates. Place warm pate de foie gras slices on each tournedo. Bring 1-1/2 cups (375 milliliters) of demi-glace to slow simmer. Add 5 tablespoons (75 milliliters) of truffle essence and 2 ounces (50 grams) of either chopped or sliced truffles. Off heat and cover with tight-fitting lid, allow truffles to infuse into the sauce for at least 15 minutes. (The sauce using truffles sliced into shapes rather than pieces is called Périgourdine). 5. Finish with a little truffle butter. Not really a make-at-home item, this traditional creation from Tuscany captures the care in processing that makes Italian food famous. The original curing method supposedly goes back to the year 1000, and has been handed down from generation to generation. 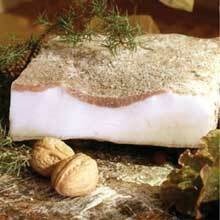 The lard, of course, comes from pigs that have not undergone the genetic transformation that American pigs have. In any case, you will need marble tubs which you should keep in the basement assuming that there are no caves in your neighborhood. You rub the tubs with garlic and then layer the pork lard and cover with brine, add sea salt and spices and herbs. You continue with additional layers until the tub is full and then cover with a wooden lid. Curing time is about 6 to 10 months. As described on one of the Greek food sites “anyone visiting Greece would wonder exactly what is meant by the Mediterranean diet for while those of us outside the Med have been eating more whole grains, extra virgin olive oil and fresh vegetables…. as the Greeks become more affluent they eat more meat.” I haven’t been in Greece for many years but I remember quite a bit of meat then. Of course, in Greece, as elsewhere, affluence is a sometime thing but the trend is for festive holiday foods to be increasingly available all year round. The most popular food for Easter is whole lamb roasted on a spit The recipe is simple, if not convenient for the small family “You will need 1 whole lamb, skinned and gutted…” Seasoning can be simple salt and pepper or basted with ladolemono, mixture of lemon juice, olive oil and oregano. As the site points out, Lamb on the spit “is especially popular [at Easter] because it follows 40 days of fasting for lent and people are definitely ready for some meat, though not everyone fasts the entire forty days.” This reminds me of little known angle on the Seven Countries study. Leopold Bloom ate with relish the inner organs of beasts and fowls. He liked thick giblet soup, nutty gizzards, a stuffed roast heart, liver slices fried with crustcrumbs, fried hencod’s roes. Most of all he liked grilled mutton kidneys which gave to his palate a fine tang of faintly scented urine. Along with Greek Barbecue, it is traditional at Easter to serve kokoretsi which is made from the internal organs of the lamb. Liver, spleen, heart, glands are threaded onto skewers along with the fatty membrane from the lamb intestines. 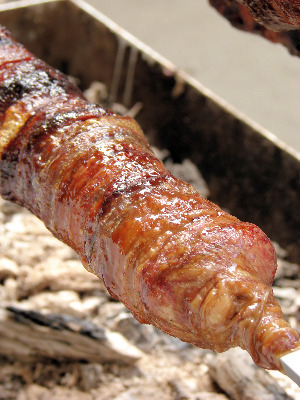 When the skewer is full, the lamb intestines are wrapped around the whole creation. It is then barbecued over low heat for about 3-5 hours. One of the regrettable aspects of the decline in food quality in the United States is the general disappearance of organ meats although the Paleo movement may help with this. Organ meats were once very popular; the quotation above is probably the second most widely quoted passage from James Joyce’s Ulysses. Because of various ethnic influences, they were probably more popular in New York than in America (which begins somewhere in New Jersey). I found Jimmy Moore’s confrontation with beef tongue quite remarkable in that (in its corned form (like corned beef)), tongue was once a staple of my diet. When I was in grade school, there were many weeks where I would bring tongue sandwiches on Silvercup bread for lunch every day. Silvercup, made in Queens was the New York version of Wonder Bread. 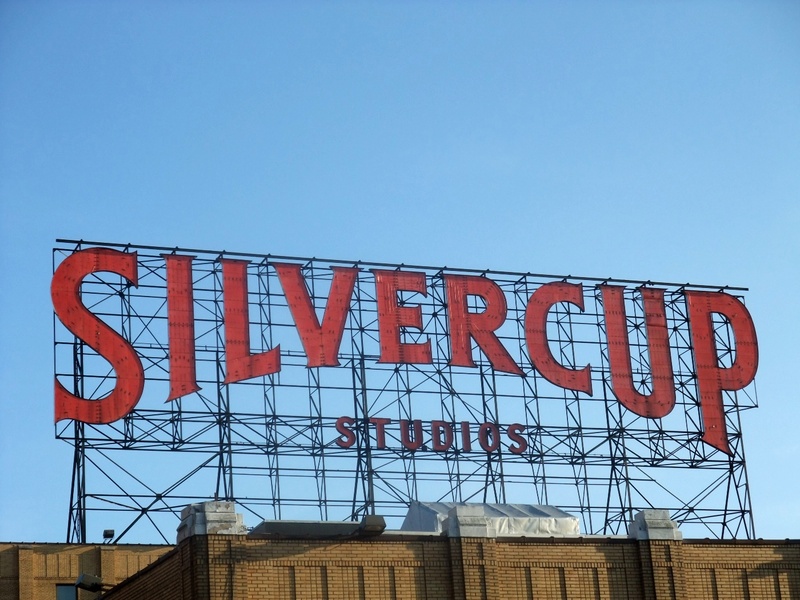 The Silvercup sign is still a fixture of the New York landscape — it is now the site of Silvercup Studios, the major film and television production company that kept the name (and the sign) when the Bakery folded and the studio bought the building in 1983. (You name the TV show, it was probably produced at Silvercup). Of course, everybody draws the line somewhere. Although I used to eat with my friends at Puglia, the Little Italy restaurant that specialized in whole sheep’s head, I passed on this delicacy mostly because of the eyeballs. Also, although you gotta’ love the euphemism Rocky Mountain Oysters, bull testicles don’t do it for me, at least if I know for sure in advance. (I don’t really mind, in retrospect, if the folk-myths about the tacos that I ate outside the bullring in Mexico City were really true). Whether it is the steak or the cook whose back is turned in Tournedos, it is generally difficult to find the etymology of food words, although some are obvious. The conversion of Welsh Rabbit to Welsh Rarebit is surely an attempt to be more politically correct and avoid Welsh profiling. One disagreement that I remember from way back when I was in college is now settled. There used to be many ideas about the origin of the word pumpernickel. One of my favorites at the time was that Napoleon had said that it was “pain pour Nicole” (his horse). Great but not true, it is now agreed that it comes from the German, pampern, to fart and Nickel meaning goblin, along the lines of Saint Nick for Santa Claus. So pumpernickel means Devil’s Fart presumably due to the effect of the unprocessed grain that gives it its earthy quality. Which reminds me of the ADA’s take on fiber that I quoted in an earlier post: “it is important that you increase your fiber intake gradually, to prevent stomach irritation, and that you increase your intake of water and other liquids, to prevent constipation.” foods with fiber “have a wealth of nutrition, containing many important vitamins and minerals.” In fact, fiber “may contain nutrients that haven’t even been discovered yet!” (their exclamation point). 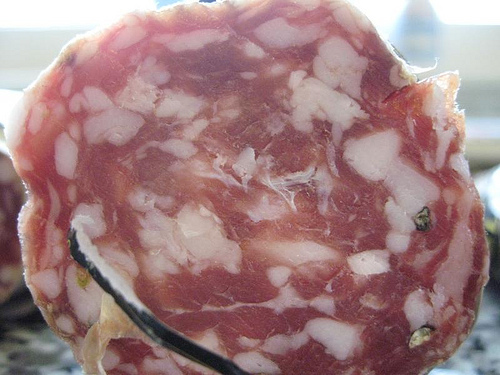 In Brooklyn, the Mediterranean diet means Italian sausage, largely from Southern Italy. I had always assumed that Soppresata (pronounced, as in Naples, without the final vowel) was so-called because it was super-saturated with fat, but I have been unable to confirm this; since first writing this post, Italian friends have suggested that it comes from Sop-pressata, that is “pressed on,” but this is also unconfirmed. There are many varieties but supposedly the best is from Calabria. For something like this, with so many varieties which each cook is sure is the best, there is no exact recipe, but you can get started with this from About.com Italian Food. At exactly what moment these simple, natural ingredients turn into processed red meat is unknown. Preheat the oven to 350º, if you wish to bake the eggs. Parboil the bacon fat in boiling water for about 1 minute, then drain. Put 1 tablespoon cream and a slice of bacon fat in each of four ramekins, break an egg into each and sprinkle with the Parmesan. Place the ramekins in a roasting pan, add boiling water to come about halfway up the sides and bake for 6-8 minutes or until the egg whites are lightly set. Alternatively, place the roasting pan over low heat for 6-8 minutes. The combination of bacon fat and cream—a strong savory taste and a milder flavor—gives the eggs a very delicate flavor. Recipes from: Nourished; a Cookbook for Health, Weight Loss, and Metabolic Balance (Judy Barnes Baker is the author although I and others are mistakenly listed by Amazon as co-authors). Love your bit on Rossini the gastronome. I wake up filled with joy every day because I start my day with three strips of crisp, greasy bacon. Ha. Re-reading this, I though you were going to say that you start your day with the Overture from Semiramide or something. Bit puzzled by the reference to Welsh Rarebit. It is essentially cheese on toast. My mother made it with cheese, egg, milk, pepper. Never seen any connection to rabbit. How wonderful to find a fellow tongue eater! My parents came from Ohio, born in 1919, and they ate a whole lot of organ meats. Tongue was an especial favorite. I too ate tongue sandwiches and love them. Of course, it was on Mom’s homemade whole wheat bread. She was a devout follower of Adell Davis, who admonished everyone to eat a lot of meat and especially organ meats. As I mentioned, the Paleo movement may help us on that and yes, tongue is very good although now rare and quite expensive. I remember Adele Davis as an early lipophobe but it is good that she understood organ meats. I am sure homemade bread was better and, in fact, I think Silvercup was indistinguishable from Wonder Bread and from Tastee which was the third choice, although we Brooklyn afficionados were sure we could tell the difference and had our favorites. I also remember a columnist claiming that he had squished a slice down to the size of a postage stamp. 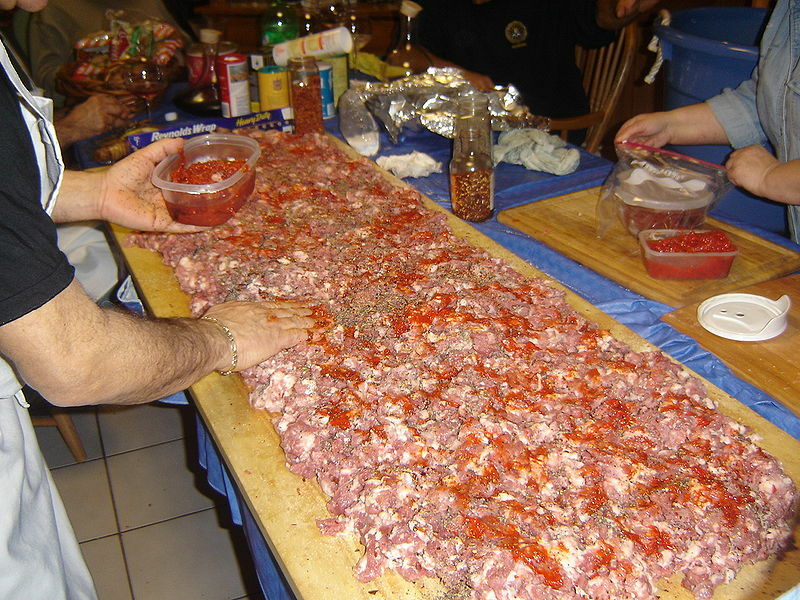 My grandparents were Eastern European Jewish immigrants, and pickled tongue was often on their table and my parents’ table, as well as kishka (stuffed derma) and chopped chicken livers. I remember my mom talking about eating “lungen” (beef lungs) and brain as well. My mom regularly rendered chicken fat into schmalz and we ate the “gribenes” (cracklings) as well. Then came the 70’s and 80’s when that type of food was considered “heart attack on a plate”. All those good foods were replaced with “healthy” margarine full of transfatty acids, and sugar-laden “creamers” and low fat products–and lots of grains. What a terrible shame that we fell into the conventional wisdom and lost health along the way. My father died of colon and liver cancer and my mother of cardiovascular disease–both likely products of the “healthy lifestyle” they developed in their later years. What a fine blogpost Prof. Feinman! You really outdid yourself! Wonderful recipes too! Where the name “Welsh rabbit” came from — My uneducated assumption was that cheese runs — like rabbits, and, and… well, Welshmen! (What else could one expect of Welshmen who also “Welsh” — i.e. don’t hold their side of a bargain?) (Frankly I’m 4 nationalities at least, and each one hides behind the other; hence my “daring” remarks about a purebred! As for odd dishes, I remember my Nana ordering tongue at the Mpls. Club; I remember her apologetic anticipatory explanation of how very much she loved it; it arrives; I (small town girl) look on, completely aghast. I was around 12 and HAD eaten snails to please my father, but TONGUE?!? Those tastebuds! That crease in the middle, that…that “tongue-ness”!!! I calmed myself by telling myself I’d seen pigs’ feet in jars plenty of times in the groc. store in Fergus Falls, MN… and was raised amongst people who relished lutefisk with their lefse. I had heard whisperings about the making of lutefisk and knew it was a terrible, almost shameful thing, and hence had managed never to see, smell, nor taste it (you had to be a pureblood to be initiated). Just now I looked directly for the first time in my life at how it’s made. Tis more horrible than hinted at in the hinterlands from whence I hail (try say that three times)! But it’s in close running with blood pudding! :-0 Which has its own website! Interesting that both Christians and Jews were agin it! BEAVER’S TAIL: One day in the 1960s my Dad got aholt, so to speak, of a beaver’s tail. Someone had asked him if they could trap on his land outside Fergus Falls, and he’d said “Yes, as long as you give me a beaver tail.” He’d heard the tail was considered a delicacy by trappers back in the old days. He boiled it in the kitchen and then fried it. To please him I tried a bit from around the edges, nice and crispy, amazingly like bacon! My mother didn’t speak to Dad for 3 days because of the smell from the oily boiling beaver’s tail. I remember his sheepish apology, with a careful sidewise wink at us, head still bowed… Ha ha ha! Been loving this blog since finding it via Tom Naughton’s site. Can’t wait until you finish up the YouTube videos. It’s easy to watch Lustig’s presentation as a layman and assume the chemistry is all correct. Just had some whitetail deer heart today with bacon and sweet potatoes fried in coconut oil for breakfast, by the way. Doesn’t have a fancy name, but…pretty tasty stuff. My family member who is Greek also confirms the Greek fasting tradition. However, he means that their family followed the fasting practice a whole year through, ie. two vegetarian days a week. Their community called vegetarian days for fasting and he underlines that this was typical even during 1980s in the mountain area (main land) they lived in. And yes, they are Orthodox Christians. Regarding randomized trials like WHI. I consider Lyon Diet Heart Study as Mediterranean diet study. Moreover, I also think the first and original Leren’s Oslo Diet Heart is actually very similar to Lyon Diet Heart. So, in my opinion these two trials support quite strongly Mediterranean diet from the scientific perspective. And I guess you all know this already, a giant study Predimed is to be soon published on Mediterranean diet. Initial surrogate and diabetes data is intriguing. I am not sure that we really know what people ate in the Lyon Diet Heart Study. My real point is that the Mediterranean Diet is not well defined. I think if we want to make progress, we have to recognize that your body responds to nutrients, not “diets,” not, as is popular to say “food.” I don’t think that there are Atkins receptors, Mediterranean receptors, etc. And what’s wrong with randomized trials is that they are too poorly controlled. As for Oslo, one of my early posts discussed this. The writing there is a little dense but it didn’t look good to me. Actually, in scientific literature, the MD diet is at least as well defined as any other diet. The issue of variation in the contents of different diets in the Mediterranean area is besides the points here: what matters is how MD diet is defined in relevant literature. In addition: since you portray yourself as a critic of EBM, I’d be interested to hear what you would change, how and why? “Consequently, examples of trials with poor control … When looking at evidence of higher quality, ie. metabolic ward studies, we find that metabolic advantage seems to … not exists. Surprise surprise.” Requires longer answer. Will include in upcoming blogpost. I had several posts on EBM based on analogy with a court of law, another area where evidence (sometimes, specifically, scientific evidence) is important. My main point is that in a court of law, a judge decides admissibility and there are standards and precedents. More generally, in the dissenting opinions on the cases bearing on standards of admissibility, other features of emphasized, particularly “vigorous cross-examination.” What I would change is that in controversial subjects in science, there would be a jury and both sides would present their case. In medical nutrition, the gate-keeper function of peer review has largely gone by the wayside. In the first post on the subject cited Marcia Angell’s description of the concerns in the Frye standard (“general acceptance”) and I think that is just what we have. While spending 3 years in greece (~11-14 years ago) I never saw a greek fear fat/fatty meat and neither did I. Hot kokoretsi with lemon juice (they sprinkle lemon juice over all kind of grilled meat/fish – a custom I still follow, especially with pork and lamb) is delicious. During fast (and not only then) they made up for the missing animal fat with feta and olive oil generously poored over all salads, vegetables and wahtever shellfish/mollusk was allowed to eat). And while living in a rural area, easter sunday morning you would wake up from the smell of said lamb on a spit everywhere in your neighbours’s gardens. to make sure the old santa claus outfit will still fit. Good point: Mediterraneans eat a huge variety of foods, most of which is not low fat, low sat fat, meatless or even necessarily low in meat. Too bad most of the people who tout it as one of the healthiest diets don’t know that–or if they do, don’t point it out! Lovely recipes–I’m going to try making some of the easier ones. 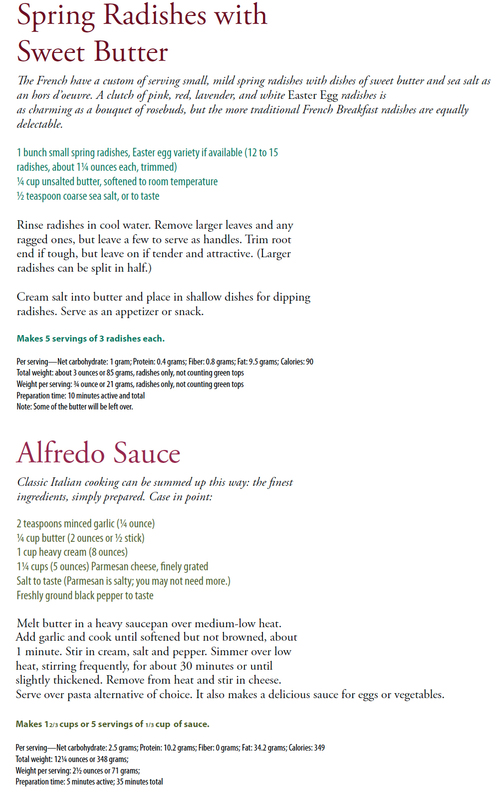 Love Alfredo sauce. Oh, and we’d have a lot less obesity, diabetes, and heart disease if more people ate like real Mediterraneans–any of them, no? First of all, thank you for a quick answer! Consequently, as a Devil’s advocate, I’d like to ask you to define a low-carb diet. I agree. We need different types of data. An RCT is often nigh impossible to organize so as to give an accurate picture of a particular issue. Thus the need for epidemiological data. And vice versa: since epidemiological data can easily be distorted/confounded and usually cannot establish a causal relation, we need high quality trials to inspect/discover this. But there’s nothing in this that isn’t accepted & understood by the medical community. I know, I’ve read these. However, I’m not interested in analogies or metaphors, but in concrete, applicable suggestions. So you view science as a trial, not as a process? And that a panel/jury/whatever of a certain kind should indeed solve an issue on the basis of representation in a particular event, not on the basis of substance (which is unfortunately the case in courts nowadays: the person with the best & most expensive lawyer usually triumphs)? That complex scientific issues can indeed be decided upon in a “trial”?? Please tell me I’ve misunderstood you. And/or elaborate a bit on this “jury” of yours. How would it be chosen? What would the “verdict” mean? I fail to see the virtues of this post in terms of the issue at hand. You complain about experts being in charge of everything & dismissing dissent, but in REAL world we have seen quite a change in e.g. current scientific opinion concerning the role of dietary fat in cardiovascular diseases. Now, how might this be if everything is under the thumb of the “Catholic Church”? I’m sorry if I sound too rude, but this sounds just way too Ravnskov -like to me. Again, a blog rebutting Ravnskov would be a valuable contribution. contains illustrating examples of fundamental flaws in his “argumentation”?